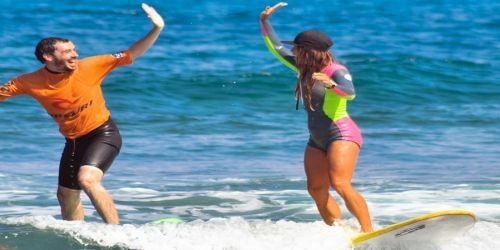 This is a Surf & Yoga package with accommodation in surf house; surf school for all levels, 5 days a week, 2 hours a day and yoga classes from Monday to Friday, once a day! A great opportunity to match these 2 wonderful disciplines! 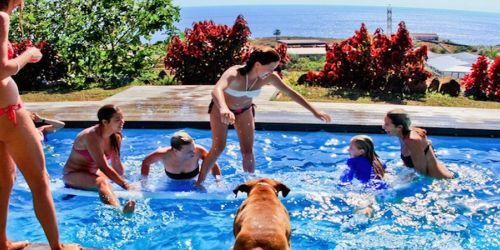 We also include breakfast, surfboard and wetsuit rental throughout the week and transfer to / from Tenerife South Airport or Los Cristianos Bus Station. Tenerife South international airport (TFS) is connected by international flights from around Europe and also by low-cost European flights. 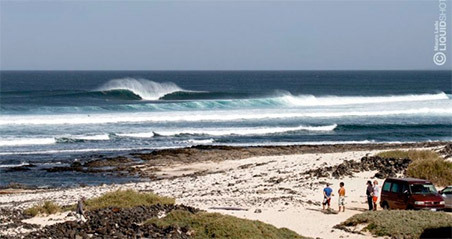 The surf camp is about 15 minutes away from the airport. Surfcamp airport shuttle: Included in the price of the Surf & Yoga package, we offer airport / camp return transfer, with private driver . Tenerife and all the Canary Islands are part of Spain, so part of the European Union. An European identity document is sufficient to travel in and out the country. Healthcare is free for the European health card holder. Most nationalities out of European Union do NOT need a special visa to go to Spain (90 days on arrival), we always recommend to check the validity of your passport before traveling (at least 6 months validity from the scheduled return date) and to take various copies of your passport with you, if the original gets lost. Public and private hospital facilities have high standard level, however, we recommend traveling with an international travel insurance if you are NON European citizen.